Join us for a night of fun! 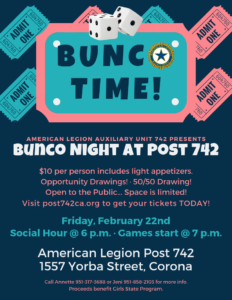 We’ll play Bunco, win some prizes, eat some snacks… it’ll be a hoot! !